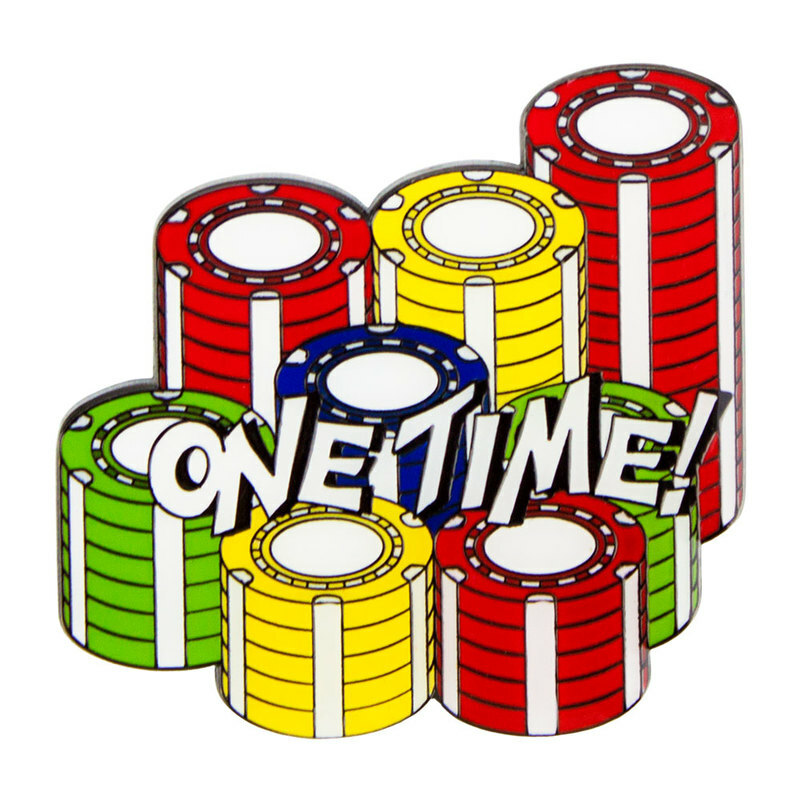 * Avid poker players will love this "One Time!" poker card guard. 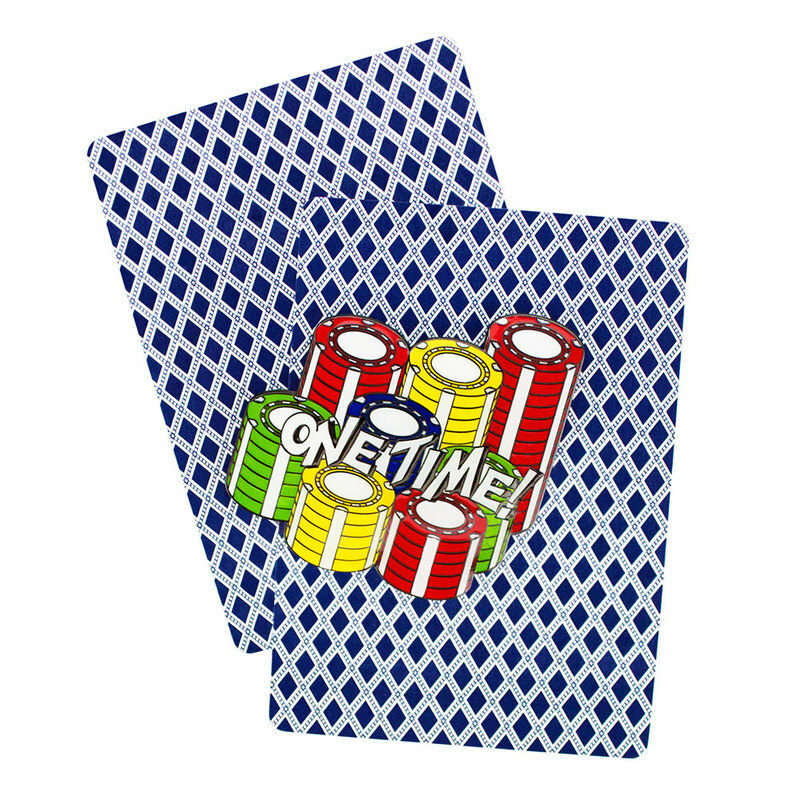 "One Time" is a poker term that means a player is all-in during a tournament. The phrase is typically shouted when a competitor is behind and needs assistance winning a hand. * Made from high-quality metal, this card guard weighs over 40 grams. It measures 2 inches wide and 2 inches tall. The back of each card guard is solid black. The front is hand-painted with stacks of poker chips in precise, colorful detail. * This card guard would make an excellent gift idea.